Buckwheat is an introduced, broadleaf annual commonly grown for its grain-like seeds. 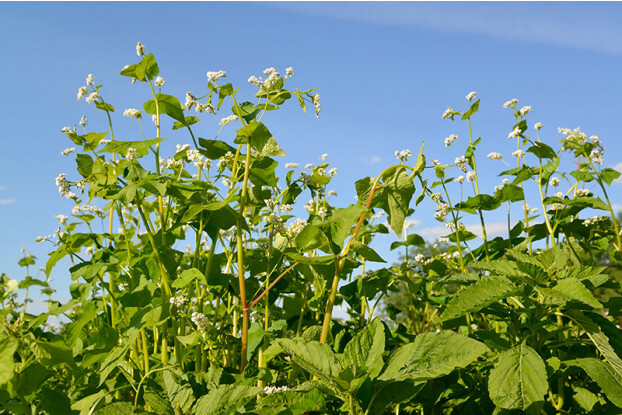 It’s also commonly used as a cover crop to suppress weeds and as a green manure when worked into the soil. Buckwheat prefers light to medium textured soils with good drainage. Requires adequate moisture and is not tolerant of temperature extremes. Can also be used in pollinator gardens and wildlife food plots.